Club Penguin Cheats by Mimo777 Club Penguin Cheats by Mimo777: Club Penguin Updates Jet Pack Adventure! You can now take the green puffle with you in Jet Pack Adventure! Check it out! 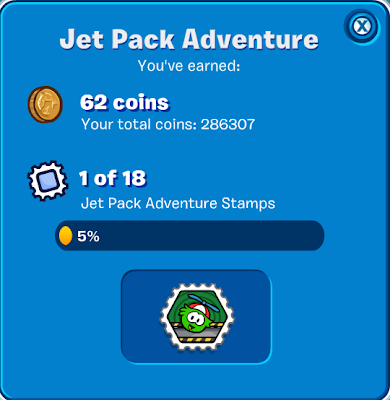 You even earn a stamp for having the green puffle play with you! Awesome! I love taking puffles with me in games, don't you? And, adding stamps to the game is even more awesome! 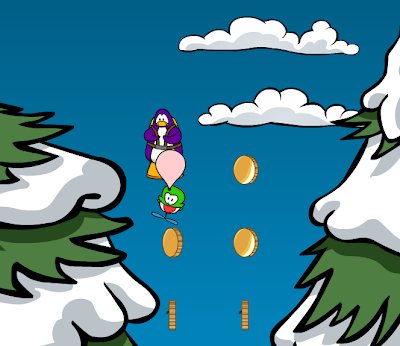 Let me know how you and your green puffle do in Jet Pack Adventure, k? Mimo they added new stamps! Clubpenguin game day stamps! Well, just to be friendly i'll leave a comment-but plz mimo, thow another bash here soon! With the green puffle its impossible to get 0 coins! It's funnier and more interesting to play with a puffle. but it's more difficult , too. I already got the extreme stamp!!! Check the post below this. I think he sometimes goes on his spare account. ;) That's why he's purple in the picture. :-P Hehe. Stay tuned & Keep commenting! He helps you get coins and stuff. ;) LOL. I think so. ;) That's pretty amazing, huh? Keep visiting CPG & keep commenting! Mimo are you a member? ?